Low carb chicken parmesan doesn’t get any easier than this! 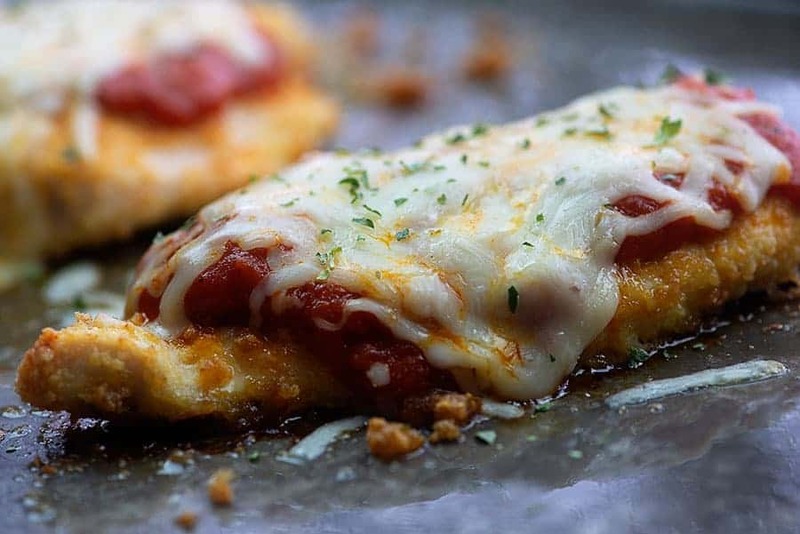 Crispy coated chicken, delicious tomato sauce, and plenty of melty cheese! When Chad and I first married, I was happy to try out new recipes. I had literally never even heard of chicken Parmesan the first time he requested it for dinner, but I jumped right in and it’s been a favorite dinner of his ever since. 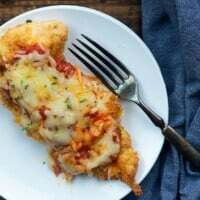 This baked chicken Parmesan is actually super easy and quick to throw together and the chicken comes out so crispy and crunchy on the outside and juicy on the inside! 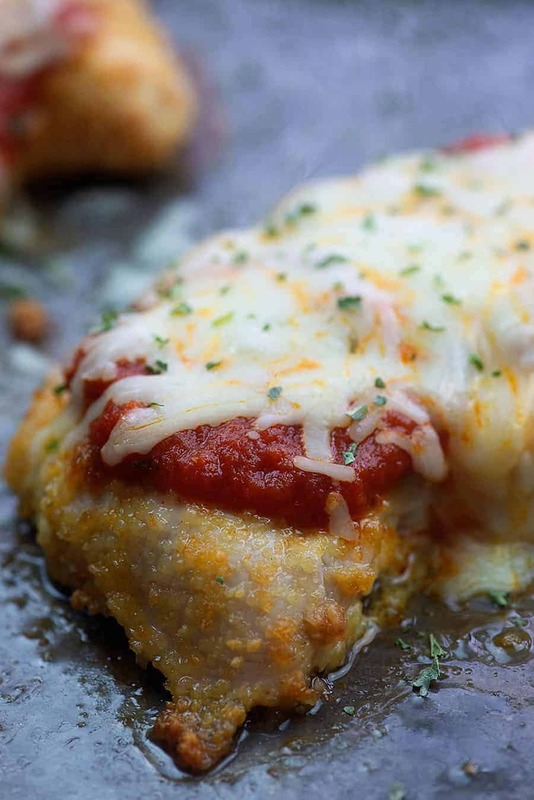 You’re going to love my easy chicken parmesan recipe! My entire family requests this one often! First, we’re going to need to coat our chicken in the crunchy coating. Traditionally, chicken Parmesan is coated in bread crumbs, but you’re going to love my hack: Pork rinds! They add the perfect amount of crunch, zero carbs, and the perfect flavor! It doesn’t get much easier than this either. 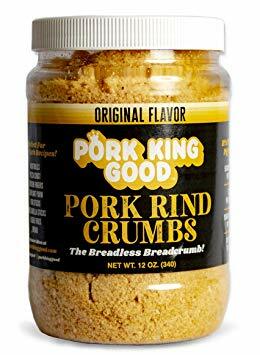 Crush the pork rinds and mix them with a bit of the powdery Parmesan cheese. Dip your chicken in some beaten egg and then dip the chicken in the pork rinds. 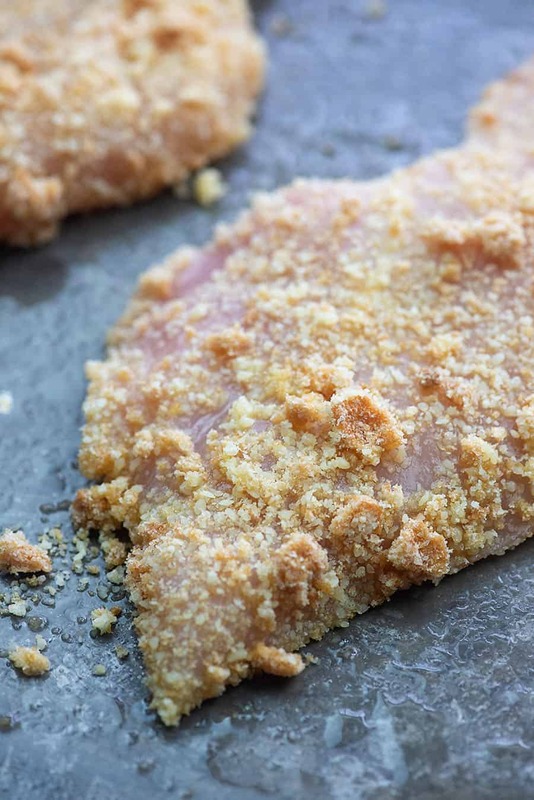 Make sure you really press the pork rinds into the chicken so the crust adheres to the meat. Pop that on a greased cookie sheet and bake the chicken for about 20 minutes. Remove the chicken from the oven and spoon your favorite marinara over the top. I’m a total sucker for Rao’s marinara (affiliate link) and use it pretty exclusively. 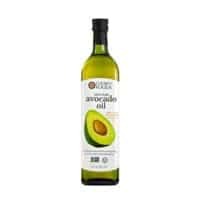 It’s so delicious and fresh tasting and it’s also low in carbs. 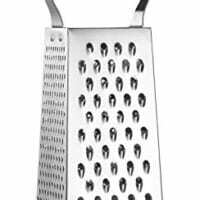 Sprinkle some freshly grated mozzarella over the top and pop the dish back in the oven for another 5 minutes. You can serve this chicken as is, with a side salad or my Italian cauliflower salad, or you could pop it over some zucchini noodles (affiliate link). 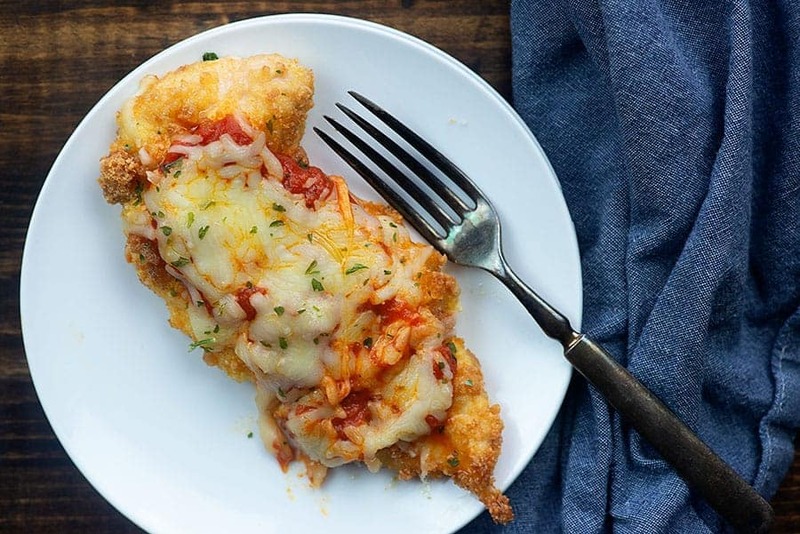 Low carb chicken Parmesan! So easy and it's ready in about 30 minutes! Preheat oven to 350 degrees. Spray a large cookie sheet with non-stick spray. 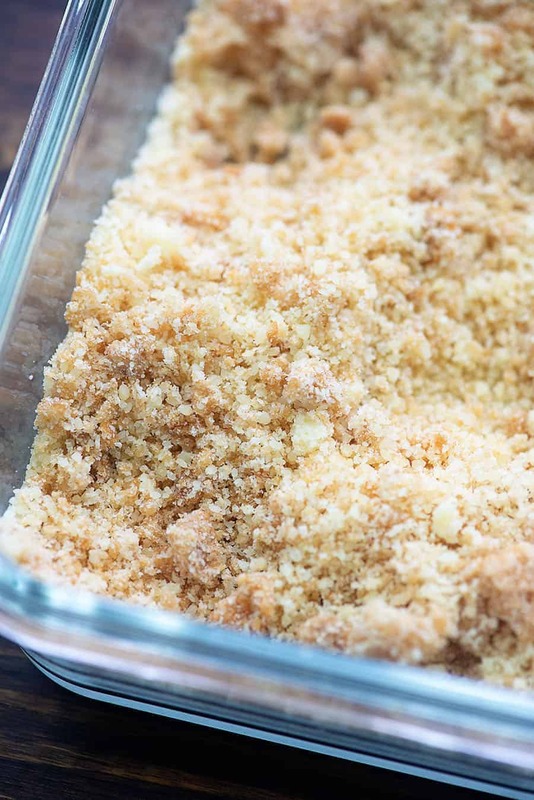 Add the pork rinds, Parmesan, garlic powder, and onion powder to a second shallow dish and stir to combine. Dip each chicken breast into the egg and then the pork rinds. Be sure to press the pork rinds into the chicken so that the crust adheres to the meat. Place the chicken on the prepared baking dish and bake for 15-20 minutes or until the chicken reaches 160 degrees. 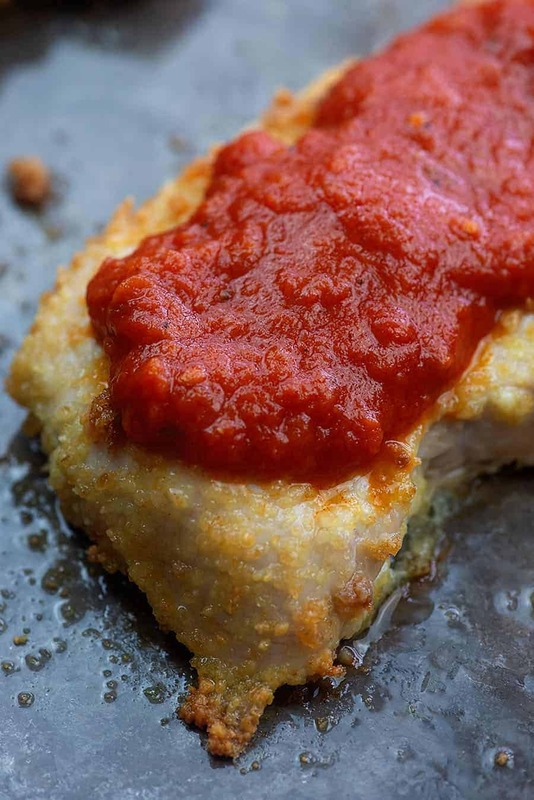 Remove the chicken from the oven and spread the marinara evenly over each piece of chicken. Return the chicken to the oven for 5 more minutes or until the temperature reaches 165 degrees and the cheese has melted. Sprinkle with minced basil or parsley before serving. Serve with a side salad or sauteed zucchini noodles.